If you’ve fed up with playing your games on your small Android screen, here are solutions for you. In this post, we figure out four excellent ways to play different Android games on your PC, so that you can freely enjoy playing on a bigger screen. 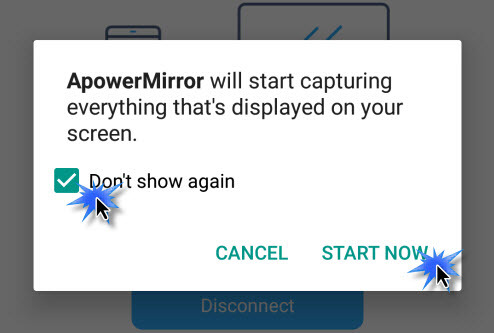 This application ApowerMirror behaves professionally in streaming phone screen to PC and allowing users to control Android from PC. 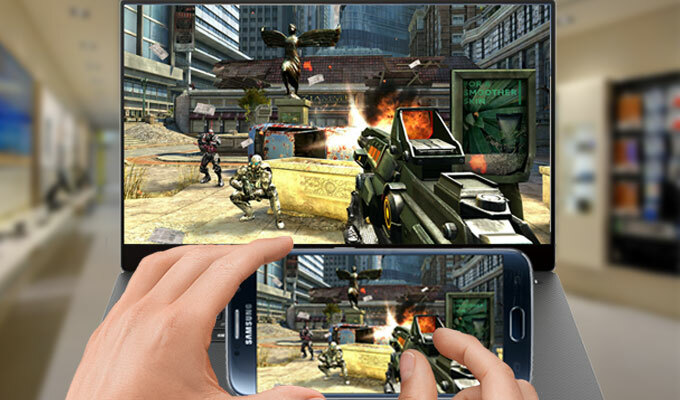 It means users can take advantage of mouse to play Android games on PC. On some occasions, such as getting a high score, you may want to take a screenshot. It’s feasible that users can make the screenshots or record phone screen during the period. Install the application on the computer. Then open it. Connect your phone to PC via USB cable. The software will be downloaded on your phone as long as you allow it. You may receive a window after the installation on your phone. Tap “Don’t show again” and hit “START NOW”. Now you can control your Android. Open the game and play it with mouse. Don’t forget the full-screen mode for your excellent experience. Note: you can also connect Android to PC via the same WiFi. Hit “M” button and choose your computer name. 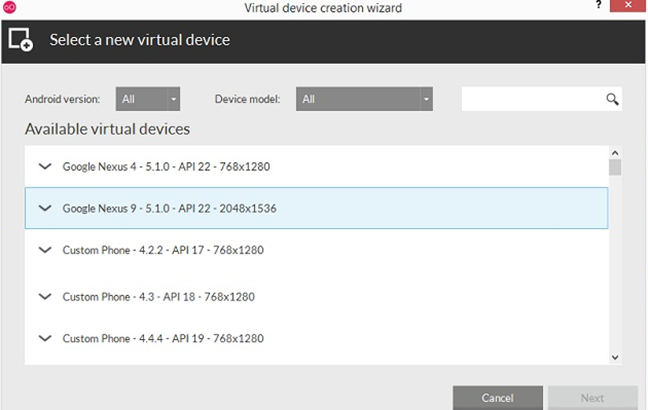 AirMore is a very popular wireless mobile application for users to manage their Android devices. Especially for Android game players, they can employ it to play games on a Mac or Windows screen if their device is running Android 5.0 and above. It is user-friendly and you can set it up at short time. Download this program from Google Play and install it on your phone. Head over to AirMore official website and then click “Launch AirMore Web to Connect”. A faster way is to tap “web.airmore.com” directly on the browser. Scan the QR code with your mobile or click the avatar in Radar to establish connection between your phone and this app. Once connected, click “Reflector” icon on the main interface. 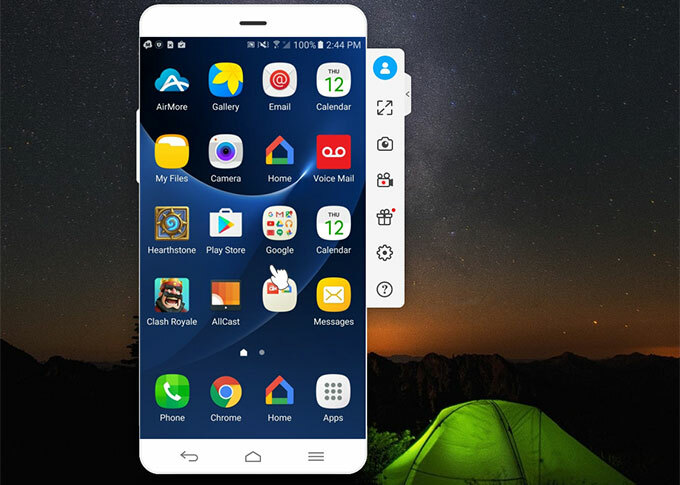 A notification box will pop up on both your phone and computer screen respectively. Click “START NOW” on your mobile and then this app will start to mirror any content displayed on your mobile screen to your PC in real time. In this way, you can enjoy playing Android games on PC with AirMore. As long as the Wi-Fi network is stable and smooth, this tool will make your experience perfect. 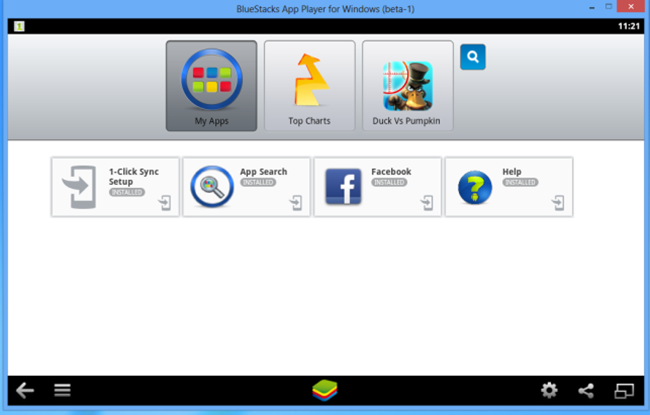 BlueStacks is a hands-down Android emulator, which provides users a series of functions like the capability to download games and allowing cloud connection. Although this is a free emulator for Android developers to test their Android applications, we can make full use of it just for the sake of fun. Head to BlueStacks.com to download this app player and install it. Launch this app on your PC and you will be prompted to make App Store available and to offer your Google details for the first time. Locate the upper right corner of this program and then you will see the search bar. Search for the game applications and install them. Click “My Apps” tab, run the game and just play your favored Android games on the big screen. GenyMotion is another popular Android emulator available in the market. This program is impressive with its speed and features. It enables you to drag-drop installation of games and to play them on a big screen. First you need to visit the app website to sign up for an account. Next head over to the download page to download this app. Once installed, you have to sign in with your registered account. On the first run, you will be prompt to add your Android device and download a version suiting your device. Once successfully downloaded and deployed, you can click the “Play” button to start the emulator. Just like all Android phones, the first boot up will run through the setup. After it is ready, you can use Windows explorer to browse the Android app location. Drag and drop the game APK file onto the GenyMotion window for transferring. 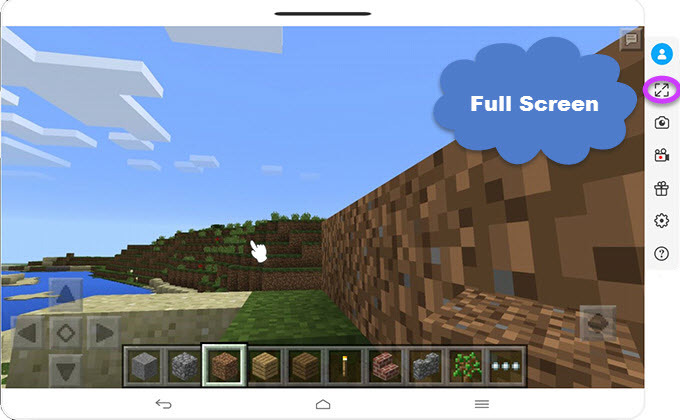 Once finished, you can begin to play Android games on PC at ease. 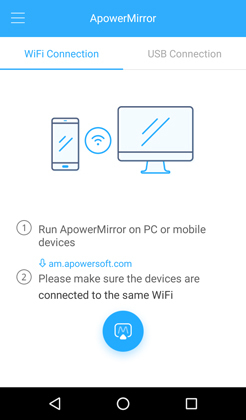 It’s not difficult to find that ApowerMirror is a perfect solution for users to play Android games on PC. AirMore, equipped with the Reflector, also allows users to play games on your Windows PC or Mac. By comparison, BlueStacks and GenyMotion are more aimed at Android developers, therefore it is far more complicated to operate for many casual users. Although the performance and experience that the real hardware provides will always be better than these emulators, the above solutions on how to play Android games on PC still give us a possibility to experience Android games on a bigger screen. Rating: 4.1 / 5 (based on 31 ratings) Thanks for your rating! Do I need a graphic card to play Android games on my pc using Bluestacks? Can I link my Google Account to Bluestacks and download the cloud data in my account? I want to connect my Google Account to the Bluestack software. I also want to download game data from my Android games. Is it possible? Thank you! James. 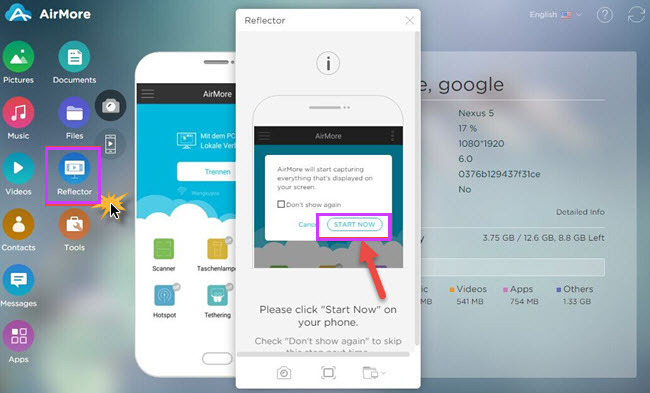 The "Reflector" function requires that your Android system is 5.0 and higher. This isn't absolutely correct. I checked in the Google Play Store to get the AirMore App and it shows incompatible with my android. My Android is running Lolipop 5.1.1 Version. So.. Do the math. Hi, are you using Android tablet? If so, please go to the download page, download the APK file on your computer and then install it on your tablet.